Ireland (Part 4!) 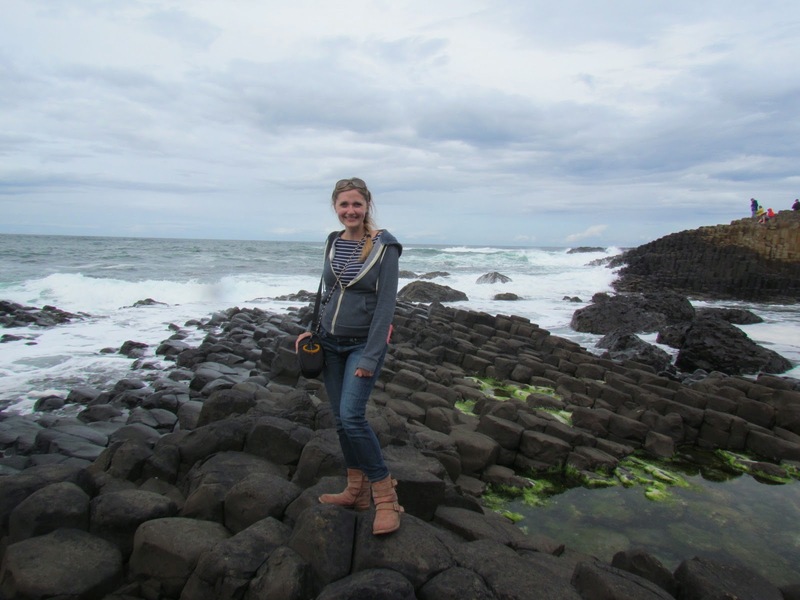 Giant’s Causeway, the Hills of Tara and Newgrange. We finished our trip to Ireland by taking in some world heritage sights. You know, as you do. 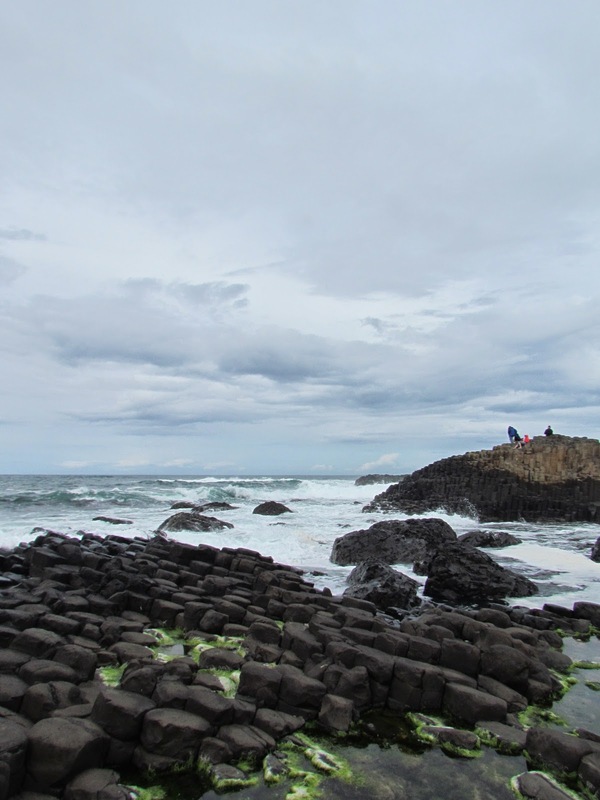 We went to Giant’s Causeway which was very high on my list of things to see in Ireland. You have to pay to get through the visitor’s centre and down to the causeway, but the price also includes parking and it was inexpensive. They offer you a bus from the visitor’s centre, but why would you take the bus when this is your view on the way down? We were told it was a 15-20min walk. They must account for picture taking time, because it really isn’t too far at all. The view though. I kept stopping and just gaping at the view, and clambering down the hillside to get closer to the ocean to get more pictures. Doesn’t this just look like what your imagination says Ireland should be? I made it down to the actual causeway. It really is something to see. 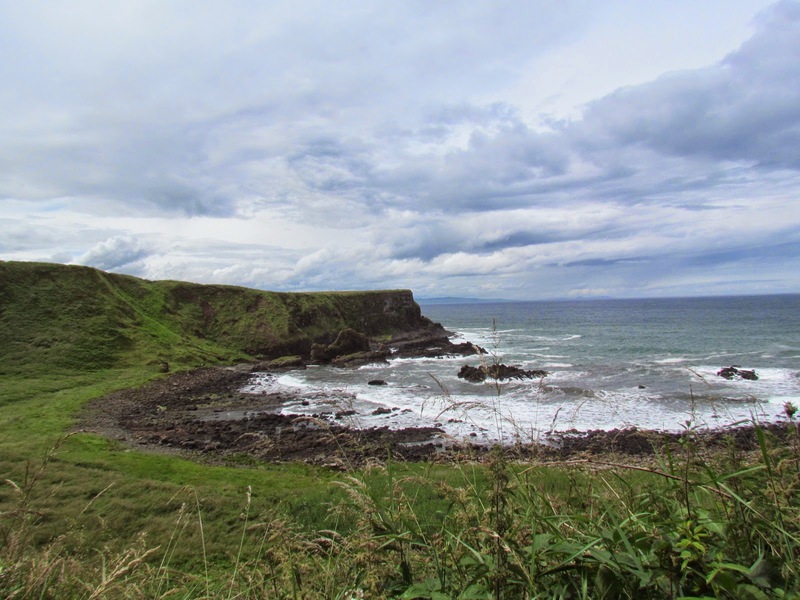 Funny thing is, I took more photographs of the cliffs than the causeway. There are people clambering all over the causeway and I like my photographs to be tourist free, that way I can pretend I was there all on my own! That I discovered it, not that I walked through a cafe, gift shop and museum to get to it. Just stunning. It was a perfect day for it too, it was cloudy (but didn’t rain) and the wind was whipping around causing the waves to crash against the shore in a very satisfying way. 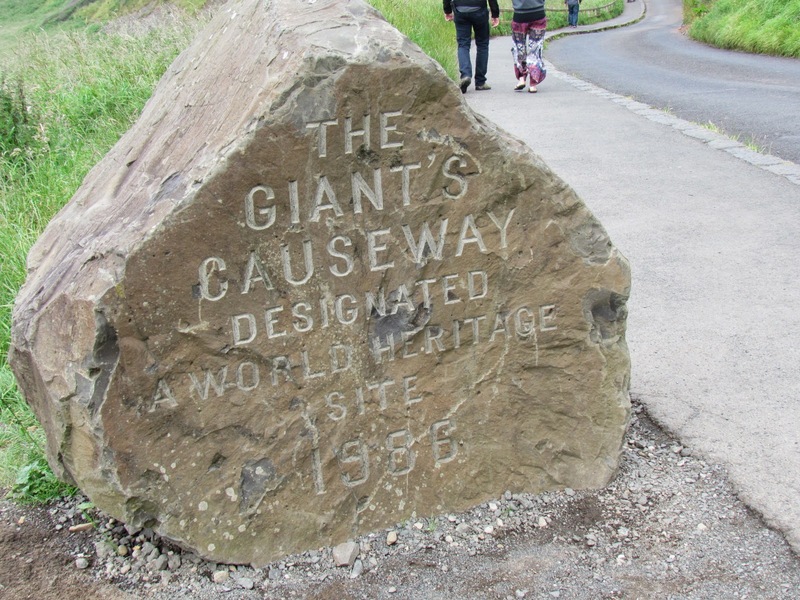 The causeway is made up of about 40 000 interlocking basalt columns, they are the result of an ancient volcanic eruption. 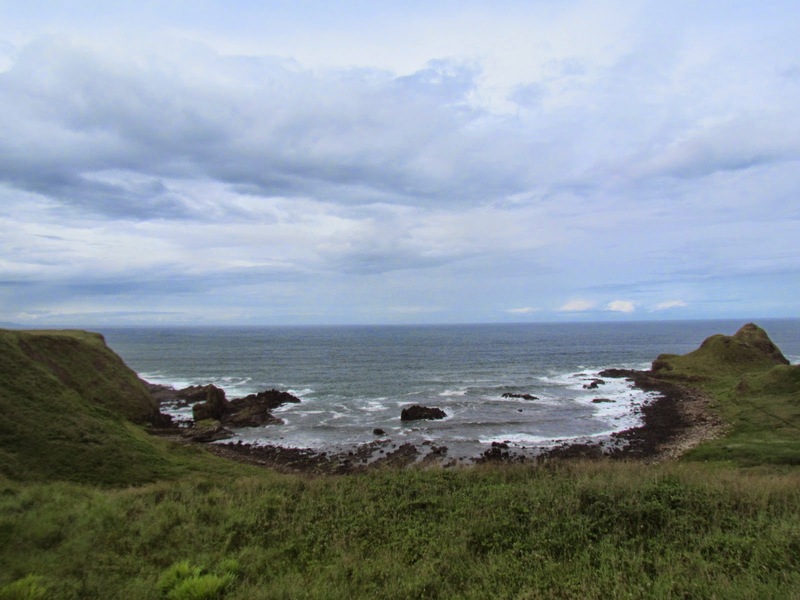 When we were planning our trip I read that Giant’s Causeway was “underwhelming” I couldn’t disagree more. You could easily spend hours here. Past the causeway you can follow a trail and hike right up the cliff face. On your way to the causeway there is also a huge hill you can climb. When you reach the top you are standing a step away from the ocean. It’s exhilarating! It was a good climb, I was left sweaty and breathless but incredibly energized by the view. You definitely get an adrenaline rush looking down from that dizzying view. It was one of my absolute favourite memories from the trip. 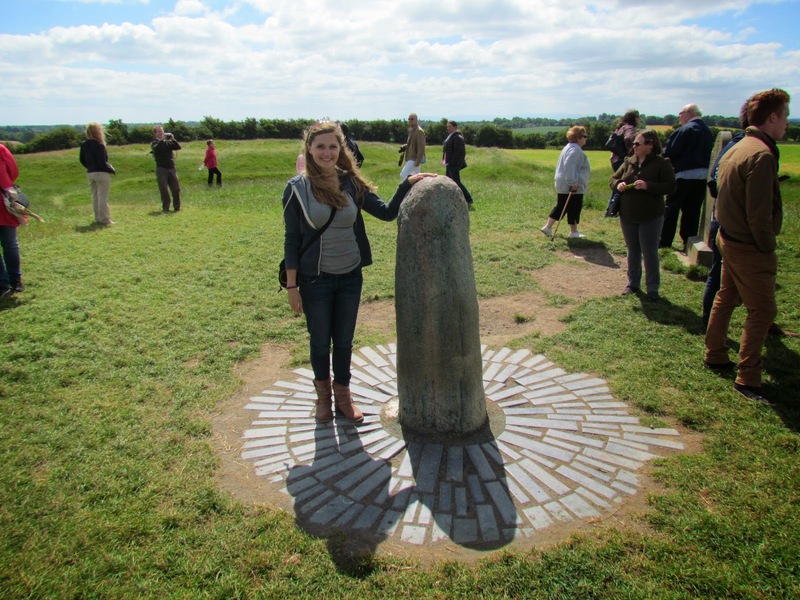 Our last day in Ireland was spent on a day tour to the Hills of Tara and Newgrange. As a history and fantasy nerd I was in absolute heaven in Tara. Tara was the ancient seat of kings and there are still rings in the hillside, imprints of where the castles would have been. 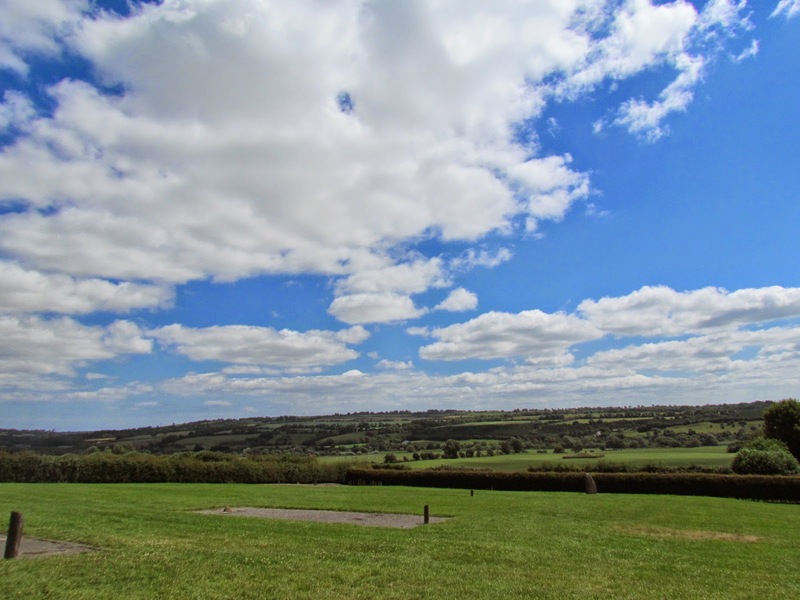 You have stunning panoramic views of the countryside once you reach the top. One of the reasons the ancients chose it, you could see an invading army a mile off! 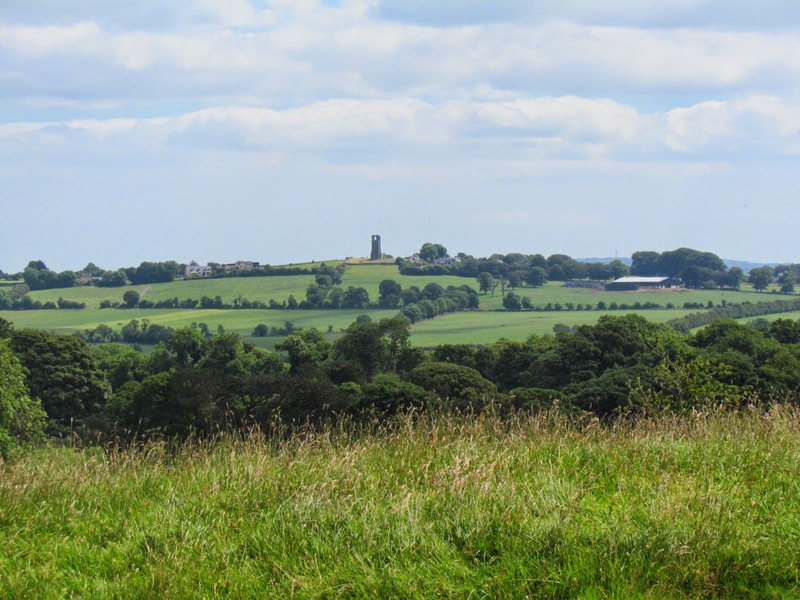 On top of Tara is an ancient burial mound that was believed to be used for sacrifices. There is a gate at the opening but you can crouch down and peak inside. Inside you see the rock with the spiral designs. It is a neolithic mound much like New Grange but smaller. According to wikipedia there are an estimated 250-500 bodies buried in the mound, many cremated. Gives you shivers in the best way doesn’t it? This is believed to be the Lia Fáil, or stone of destiny that was used in crowning the ancient kings. It still stands proud atop the hill after all this time. 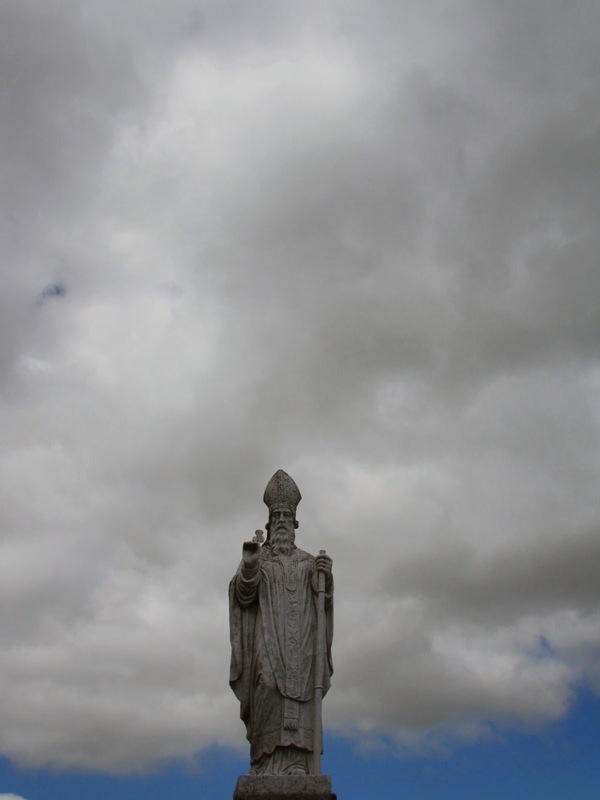 This statue of St. Patrick stands guard near the cathedral at the base of the hill. St. Patrick is of course famed for bringing Christianity to Ireland. Our next and last stop in Ireland was Newgrange. Newgrange is simply incredible. 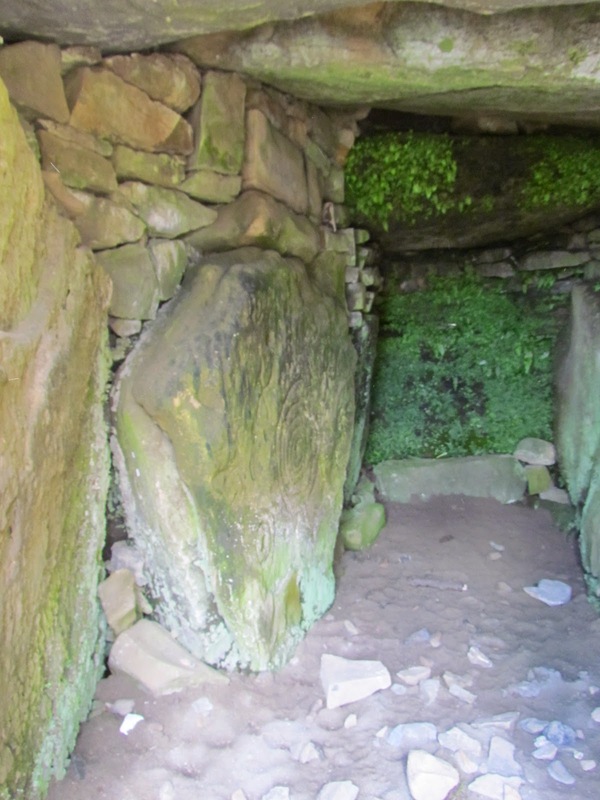 It is a 5000 year old passage tomb, however it seems to be the most prestigious of the passage tombs. 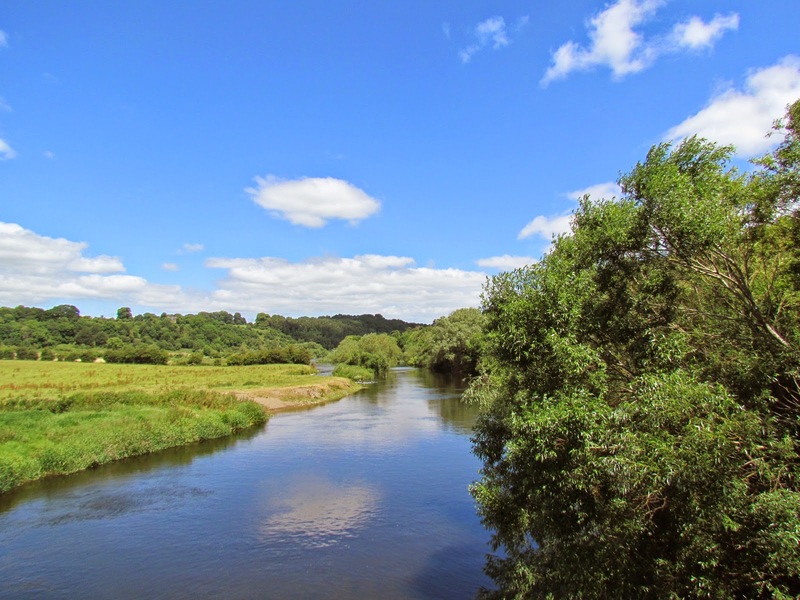 You enter at the visitor’s centre and then cross the Boyne river to meet your bus, the bus takes you up the hill to Newgrange. There is limited space per tour of the tomb, so make sure to get there early. New Grange. The outside facade of quartz has been re-done, based on what the believe it would have looked like. 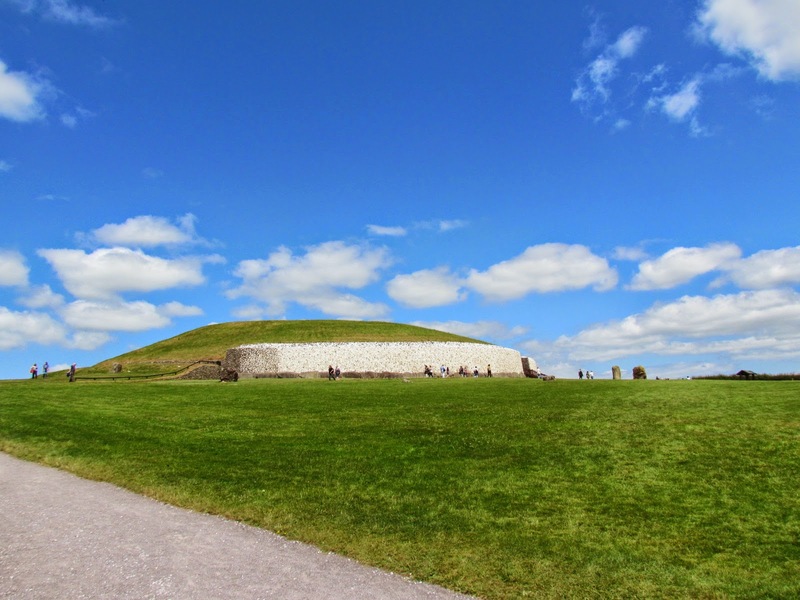 Newgrange is built so that on the winter solstice the tomb is filled with the winter sun. 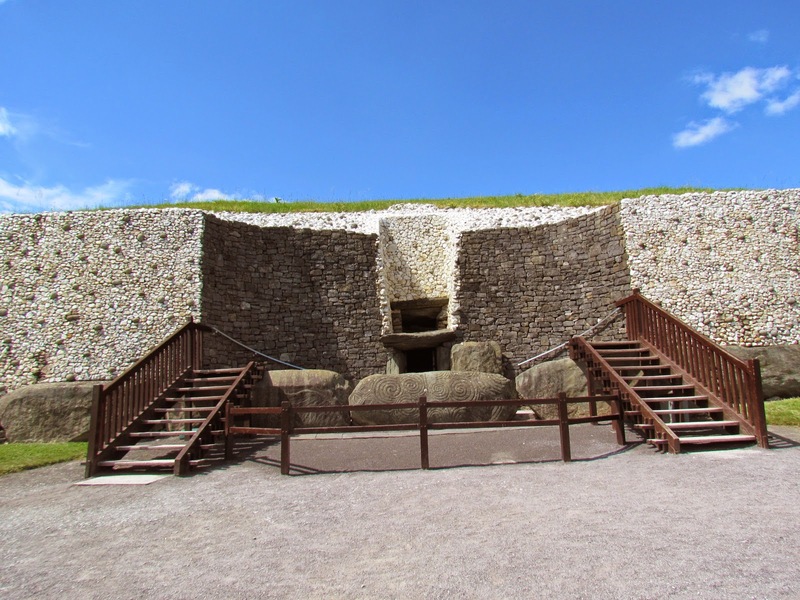 There are a whole series of passage tombs in the Boyne valley, the biggest being Newgrange, Knowth and Dowth. The surrounding scenery. Newgrange is perched high atop the hill. It is older than the pyramids by 500 years and older than stonehenge by 1000 years. It is remarkable that is still stands. The spiral carvings that are special to Newgrange. I walked all along the perimeter of Newgrange and saw the neolithic carvings along the walls. 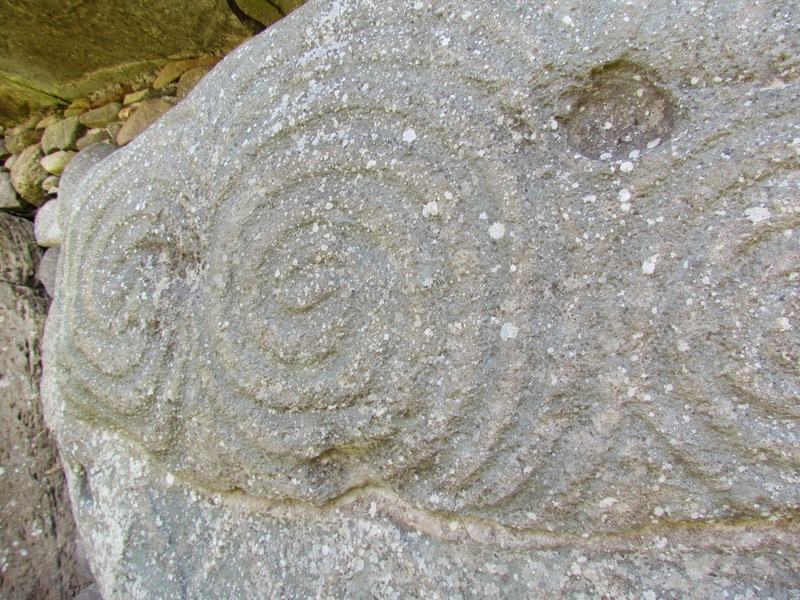 The three swirls are specific to Newgrange, the exact pattern not being found anywhere else. There are several theories as to their meaning but nothing conclusive. The entrance. You can see the swirl patterns on the entrance stone. The most amazing part of Newgrange? You get to actually go inside. A guide takes you into the tomb, you carefully walk to the centre, although you are unaware of it you are steadily walking uphill. By the time you get to the centre you are standing at the height of the top of the entrance. There are carvings on the walls all around you, you can see the intricate work that went into building it, stone by stone. The master craftsmanship that went into the building is staggering. It is 5000 years old and still water tight. Visiting Newgrange was a most fitting end to an incredible trip. 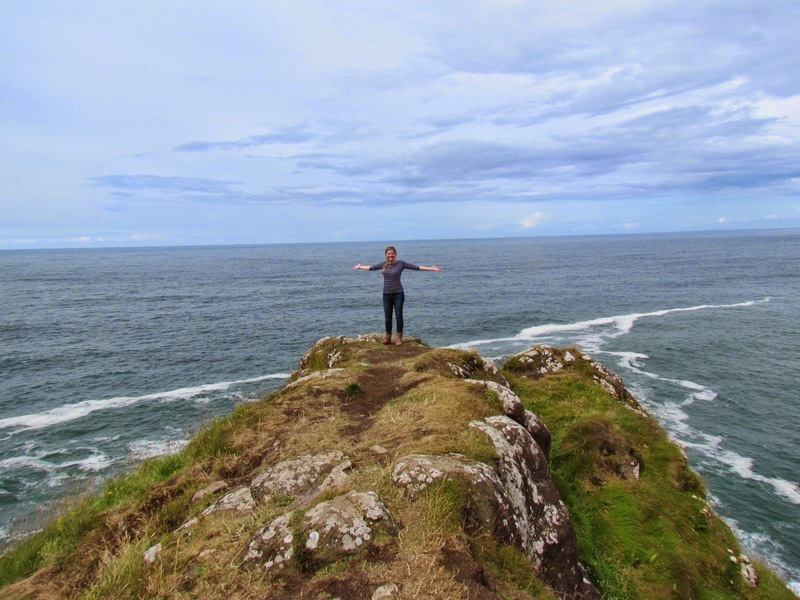 I feel so lucky to have been able to spend eight days in Ireland! 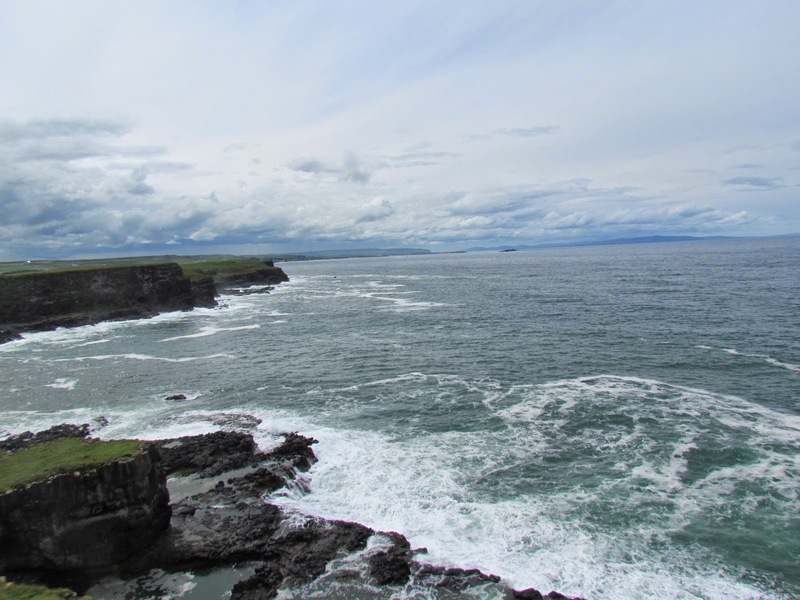 < Previous Ireland (Part 3) Belfast and Derry!